I wrote an article entitled “The Mystery of Vanishing Honeybees (Colony Collapse Disorder)” in May 22, 2010. Since then, I really wanted to know the reason behind the disappearance of honeybees. I worked hard as an observer along with several beekeepers. Now, I believe I just found the answer for the mass disappearance of honeybees worldwide. I just cannot count how many beekeepers around the world tried to help me for the study. I just want say a million thanks to them. 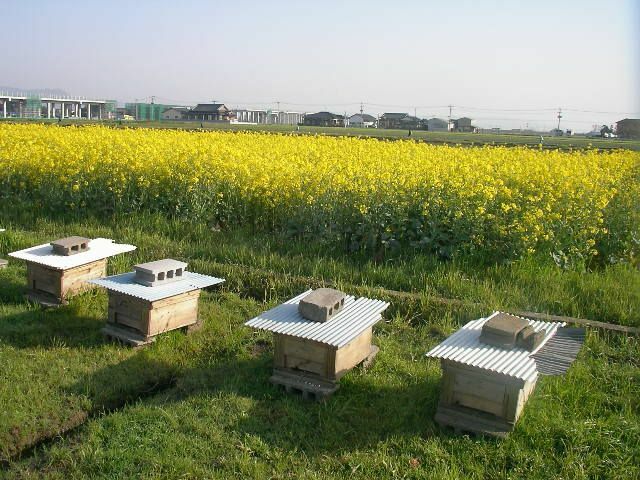 Our study consists of honeybees found in tomato farm, cherry farm, melon farm, grape farm, apple farm, peach farm, and other farmlands containing different kinds of plants and flowers in various seasons. From this, we were also able to gather different flavors of honey produced. In the very beginning, we suspected that the disappearance of honeybees is caused by a viral infection. We even installed a huge size of PYRO-ENERGEN machine for some beehives. What is the real reason behind the vanishing honeybees? Are they affected when they're being transported from one place to another? Is it really because of viral or bacterial infection? Or is it due to environmental factors or climate changes? There are so many scepticisms on this according to several scientists that I communicated. We have seen hundreds of plantations, and met many farm owners with whom we discussed about the disappearance of honeybees. At one point, we noticed that in some farms, the production of melon, apple, and strawberry are poor. Of course, the number of bees is declining. When we began investigating this mysterious phenomenon, we found one melon farm where its melon flowers had less honeydew compared to other melon farms. Therefore, we brought the honeybees here to other farms. There we found no problems with the same honeybee. Here, we concluded that one of the reasons for the declining number of honeybees is due to lack of honeydew in some melon plants. We were then able to solve one of the reasons for the disappearance of bees. There's another case wherein the number of honeybees is declining every day in an apple farm. We tried to monitor every angle of it. Then, we found out that the honeybees we placed did not like the taste of apple flower. We noticed this because the other set of honeybees brought from another beekeeper was not affected at all. In the third set of honeybees, we moved the bee box to a cherry farm, but the entire honeybee disappeared overnight. Again, we replaced the honeybee brought from another beekeeper. Then, it stayed normally. Yes, we have done uncountable number of ways to know the habits and traits of honeybees. Honeybees are also very sensitive in its behavior. There are those that are choosy about which plants they pollinate. Bees that are surrounded by flowers of poor quality (poor taste and scent) tend to have higher mortality rate. In contrast, lower mortality rate is shown on bees that are surrounded by good quality flowers and tend to have enhanced reproduction. We also thought of bringing several bee boxes in mountains with various beautiful flowers. Can you believe that we lost all bees there? Honeybees that we artificially raised did not fit in these natural mountains with beautiful flowers. Also, our long travels from one place to another via truck or airplane also affect the lifestyle of bees dramatically. Sometimes, we have to warm the bee box by stove for the honeybee to get active. Probably, it is caused by sudden changes of climate or weather condition, too. Like human, we need to treat honeybees gently, too. We should keep honeybee's lifestyle well, too. The mysterious disappearance of honeybee is mainly because of human lapses. Of course, there might be more important factors for the mysterious disappearance of honeybee. Well, let us study more thoroughly. When the above study was completed, our beekeeper friends are doing well and their honeybees are increasing well, too. Also, they are increasing their queen bee through artificial breeding.